House Republicans held an extremely well-attended press conference today outside of the House chamber. Every television station in Boston, the Boston Globe, Associated Press among other media outlets were all in attendance. 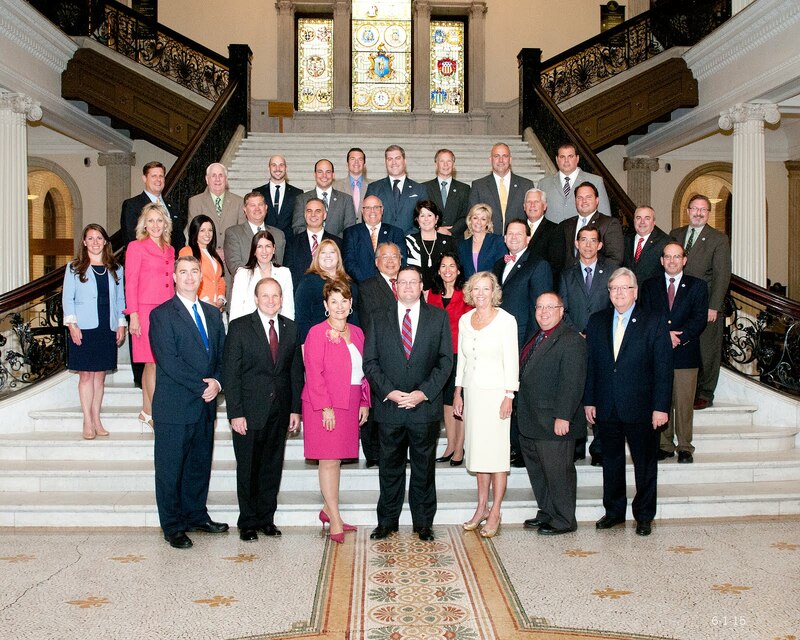 Republican lawmakers were joined by the Retailers Association of Massachusetts and NFIB. The group said an increase in the sales tax would have a devastating effect on the state's economy and drive business to neighboring tax free states and the Internet. Minority Whip Brad Hill, seen in the above picture, showed several photos of businesses in Ipswich that recently closed due to the economy. Hill said the state will see more businesses closing up and fleeing the state if a higher sales tax is imposed. The Beacon Hill Institute estimates that an increased sales tax would cost the state more than 10,000 jobs and millions of dollars in investment.